The story about the legendary Camp Crystal Lake and the infamous murders that took place at this camp decadeâ€™s ago, Jason Voorhees drowned in the lake in 1957 due to the irresponsibility of the camps counselors. One year later multiple counselors were found murdered at the camp and over the years many strange things have happened over the years at the camp that have prevented it from being opened, but now itâ€™s 1980 and the camp has finished itâ€™s repairs and is ready to be reopened. 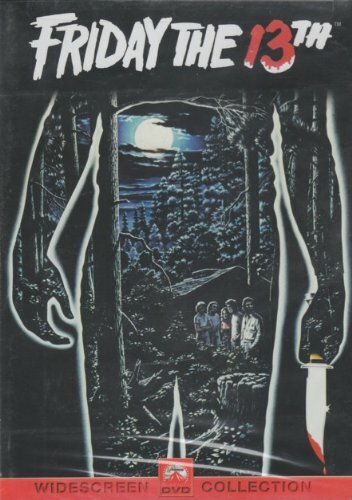 Camp Blood as the locals call it has more secrets than anyone knows and the counselors start to drop one by one. Has Jason come back for revenge or is there another explanation? Friday the 13th and all itâ€™s greatness is given a Roger Moore Three Skipped Beats, many hearts were stopped including Kevin Baconâ€™s but mine was just short of it. Sean S. Cunningham bring the first of many Friday the 13th movies to the big screen, not anything to extraordinary with his filming style but having very good timing on the moment of death. The story is a unique and timeless one, with Jason Voorhees being the character that has haunted many of our dreams for years Victor Miller has brought a true monster to life with this film. As a cast of relatively unknowns move about the screen it be noticed that young Kevin Bacon lights up the screen with his portrayal as one of the camps counselors. Definitely a sure fire hit in anyoneâ€™s horror collection itâ€™s a must have.